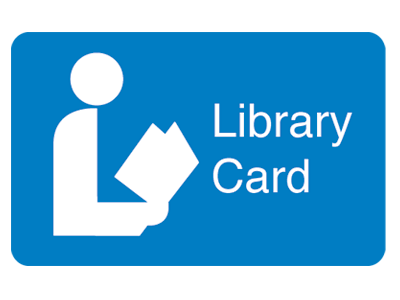 Library Cards will be issued to any resident of Middleton who shows proper identification. Minimum age to receive a library card is 5 years. Children 14 years and under need a parent or guardian’s signature. Borrowers are urged to have their library card with them at all times. Lost cards may be replaced for $1.00. Changes of address, phone number, or email address should be reported, either online or at one of the circulation desks. Library books circulate for 3 week periods. DVDs and magazines circulate for a one week period. Museum passes that need to be returned are due the day following their use. With the exception of books with request lists, most library materials may be renewed. Renewals can be made in person, by phone, or online. Any circulation material may be placed on request either by phone, in person, or online. You will be contacted when the material becomes available. A week is allowed for pick-up of material that is being held at the library. If the material is not borrowed during this period, it moves to the next name on the request list. Book drops located next to the main entrance on the parking lot are available to patrons for return of all library materials. So that it will not be damaged or lost, a museum pass must be returned in the plastic container borrowed for that purpose. Click here to pay for items online. There are no fines for overdue material. Lost or damaged items will be charged to the patron’s card. Checks should be made out to: ‘The Town of Middleton’. The Merrimack Valley Library Consortium is an alliance of 36 public libraries serving the Greater Merrimack Valley region of Massachusetts. From the MVLC page, you can connect to the MVLC on-line catalog, obtain information on the network and all member libraries and access a selected group of library-related and general Internet resources.